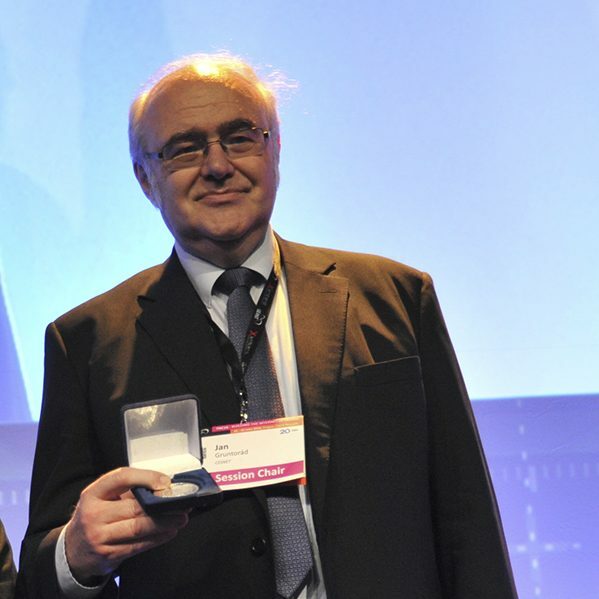 Jan Gruntorád, Director of CESNET, the association operating the Czech Republic’s national e-infrastructure of the same name, was awarded the medal of honour of the Vietsch Foundation. The medal is awarded annually to people who have made a contribution of lasting value to the research and development of advanced Internet technology aimed to support science, research and higher education. 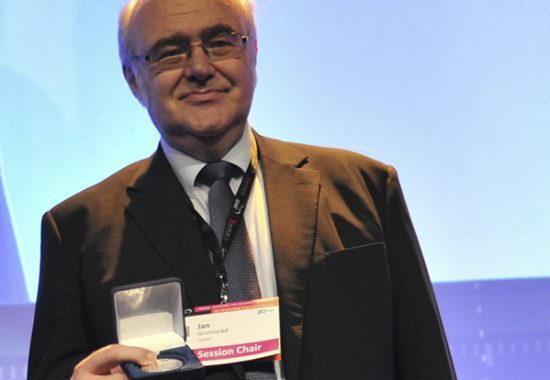 Jan Gruntorád received the medal in Prague on 13 June, during the TNC16 conference, the largest European research and education networking event, organised by GÉANT, the association of European national research and education networks, and hosted this year by CESNET. Jan Gruntorád holds Dipl. Ing. (1975) and Ph.D. (1989) degrees from the Faculty of Electrical Engineering of the Czech Technical University in Prague. Upon graduating from the University he took a job at the University Regional Computing Centre (URCC) in Prague. In 1986 he became the head of the Data Communication and Computer Networking department of the URCC. In those early days, Jan Gruntorád was a member of a limited set of people that grasped the importance of the Internet and its potential for research and education. After political changes in 1989 he initiated the connection of Czechoslovakia to the European Academic and Research Network – EARN and in May 1990 he became the national director of EARN for Czechoslovakia and was responsible for setting up the EARN network in all of Czechoslovakia. From 1992 he was responsible for establishment of the first Internet type network in the Czech Republic – CESNET. He received an award from the Minister of Education, Youth and Sports of the Czech Republic for the Project and Realization of the CESNET Network. Jan Gruntorád was a key person involved in establishment of the new legal body CESNET, Association of Legal Entities, in March 1996. He was elected Managing Director of CESNET and member of the Board of Directors of CESNET and he has remained in these positions up to now. In the period of 1998 to 2003, Jan Gruntorád was the Chairman of the CEENET (Central and Eastern European Network Association) and for more than five years he served as a consultant for NATO in the field of computer networks for the R&D community in the area of the Caucasus and was involved in establishing an IP network for the R&D community in Azerbaijan. For a period of six years Jan Gruntorád served on the Board of Directors of DANTE, a UK-based company responsible for establishment and operation of the pan-European network for the Research and Educationa community GÉANT and for several years he was a member of the Executive Committee of GÉANT projects. Since 2010 Jan Gruntorád has been responsible for creation and operation of the e-Infrastructure for Research, Development and Infrastructures in the Czech Republic, which consists of computer networks, grids, clouds, storage services and provisioning tools for collaboration. He also chaired the Working Group responsible for creation and updating of the Informatics/e-Infrastructures section of the Roadmap for Large Research, Development and Innovation Infrastructures in the Czech Republic. Jan Gruntorád represents the Czech Republic in the European e-IRG (e-Infrastructure Reflection Group). The Trustees of the Vietsch Foundation were unanimous in their choice this year. “Now that CESNET is celebrating its 20th anniversary under the leadership of Jan Gruntorád, it is only appropriate that his efforts get recognition at the international level as well,” adds Valentino Cavalli.